Here we have another Bob Dylan documentary released by MVD - Bob Dylan Revealed (check out my review for MVD's Bob Dylan: The Never Ending Narrative 1990-2006 HERE). MVD has released several Bob Dylan documentary DVDs and usually they focus on a specific time in Dylan's career. This one however is an overview of Dylan's career from its inception to his Never Ending Tour. Still, if someone is deserving of having every aspect of his career picked apart, it is Dylan. Bob Dylan Revealed is an intimate portrait of one of the most important musicians of the last century. This disc is comprised mostly of personal stories by those who have played with, traveled with, photographed or produced Dylan over the years. The films starts with the early days of Dylan's career including how he was almost dropped by Columbia Records after his first album but was kept based on his songwriting skills. Next is one of Dylan's most important periods - when he decided to go electric. Then we are treated with stories about Dylan's infamous "motorcylce accident", the Rolling Thunder Revue tour, Dylan's beloved Desire album and the background of the song The Hurricane, becoming a Born Again Christian and more. Featured are producers Jerry Wexler, musicians Scarlet Rivera, Ramblin' Jack Elliott, Winston Watson, Pastor Bill Dwyer and many more. Bob Dylan Revealed is a unique documentary, one that relies mostly on input from those people around to tell stories of their times with Dylan. Obviously with this type of character study, many of the anecdotes could be construed as subjective but the stories are entertaining enough to keep viewers enthralled. Other than the many interviews included, this DVD is chock full of rare performances and footage of Dylan from each period discussed. 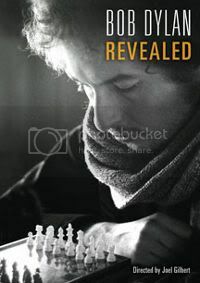 As previously stated, this film spotlights several different parts of Dylan's career but some parts may be a little too specific for casual fans. If you are a Dylan fan or love music documentaries like myself, then you can't lose with this one. I personally thought it was a great watch and each personality was very entertaining and their stories important to the Dylan myth.